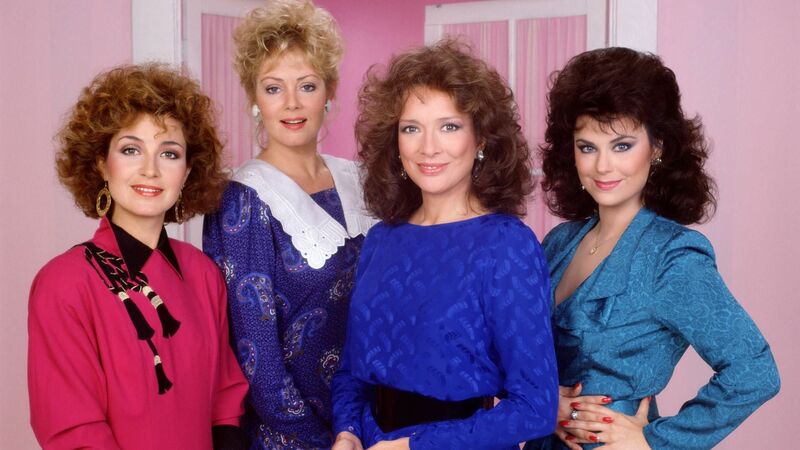 Here's where to watch every episode of Designing Women season 4. Mouseover or tap an episode to see where to stream it. Click or tap the play icon to stream it on the best available service. 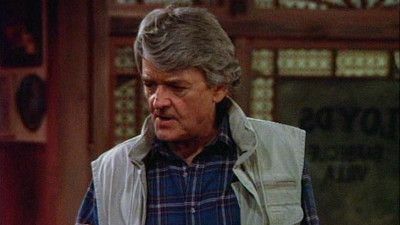 The Proxy Pig and Great Pretenders Sep 18, 1989 Mary Jo uses the mansion she's decorating to entertain, and Anthony suffers when his health insurance lapses and Suzanne must nurse his injured back. One Night With You Sep 25, 1989 A terminally-ill high school classmate's last wish is to spend one night with the girl of his dreams -- Julia. The catch is, she doesn't remember him at all. There She Is Oct 2, 1989 While preparing for Charlene's baby shower, the Sugarbakers women are surprised by a visit from the Director of Pageants for Miss Georgia. 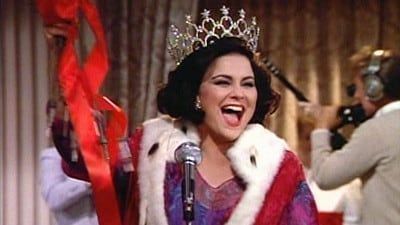 Due to a clerical error discovered in the 1975 balloting, Suzanne must relinquish the crown she won 15 years earlier. Nightmare From Hee Haw Oct 16, 1989 The Sugerbaker women and their mates take a canoe trip in the Georgia backwoods -- which turns into a nightmare when them encounter some good ole boys. The Girlfriend Oct 23, 1989 Attempting to prove himself when Mary Jo hires him and some of his ex-convict friends to finish an incomplete remodeling job, Anthony gets a new girlfriend -- an ambitious young woman who sees him as an upwardly mobile vehicle. The Rowdy Girls Oct 30, 1989 While she is helping the Sugarbakers women choreograph a Supremes lip-synch routine, Charlene's favorite cousin inadvertently reveals that she is a victim of domestic violence. 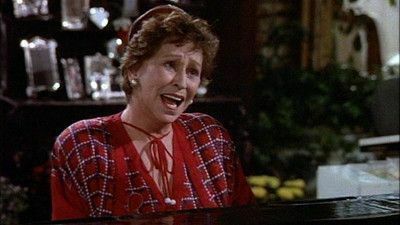 Bernice's Sanity Hearing Nov 13, 1989 The Sugarbaker women testify for Bernice when her niece Phyllis attempts to have her declared legally incompetent because she sings Bobbie Gentry songs to strangers on the street and introduces Anthony as her illegitimate son. Julia Gets Her Head Stuck in a Fence Nov 20, 1989 While posing for a gag photo at the governor's mansion, Julia gets her head stuck in the banister just before the annual ball. Julia and Suzanne's Big Adventure Nov 27, 1989 Julia and Suzanne's plans go awry when they travel to Japan to visit their mother: after discovering that she has gone to Paris to see a sick friend, they are robbed of their luggage and money. Meanwhile, Anthony and Mary Jo are stuck with an enormous telephone bill after calling in votes to a television poll. Manhunt Dec 4, 1989 Desperately single Mary Jo, worried that her busy schedule will condemn her to a life alone, accepts coaching from Suzanne as she plans a weekend manhunt. They Shoot Fat Women, Don't They? Dec 11, 1989 Fat as a feminist issue surfaces when Suzanne endures cruel jokes about her weight at her high-school reunion; Anthony enlists Julia and Mary Jo to join him in a two-day fast to focus attention on world hunger. You Got to Have Friends Dec 18, 1989 Mary Jo takes a second job at a fast food place when Ted's child support payment is late. The First Day of the Last Decade of the Entire Twentieth Century (1) Jan 1, 1990 Suzanne and Mary Jo rush Charlene to the hospital when she goes into labor on New Year's Eve and conceives a desire to deliver the first New Year's baby. Dolly Parton plays Charlene's ""guardian movie star,"" who comes to her in a dream with news of her baby's birth, and Bernice goes for an unexpected ambulance ride. The First Day of the Last Decade of the Entire Twentieth Century (2) Jan 1, 1990 Suzanne and Mary Jo rush Charlene to the hospital when she goes into labor on New Year's Eve and conceives a desire to deliver the first New Year's baby. Dolly Parton plays Charlene's ""guardian movie star,"" who comes to her in a dream with news of her baby's birth, and Bernice goes for an unexpected ambulance ride. The Mistress Jan 8, 1990 The ladies are hired by wealthy stockbroker Ancel Pollard to decorate a house for a client's wife -- and a condo for his mistress. Suzanne is sure that straight laced Julia and Mary Jo will never go through with the assignment. The Fur Flies Jan 15, 1990 The fur flies at a fashion show, where Suzanne's after-dinner mink causes a riot among animal-rights activists. Meanwhile, Charlene is forced to bring Olivia to Sugarbakers while she looks for a nanny. Oh, What a Feeling Jan 29, 1990 Julia and Suzanne negotiate for a new delivery van and drive a hard bargain with an overbearing salesman (Ross). 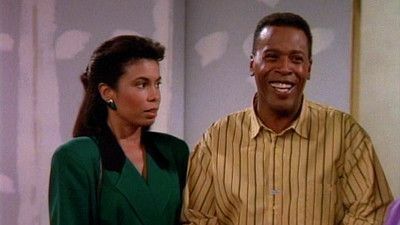 Anthony and Vanessa Feb 5, 1990 Hired for a temporary job at Sugarbakers, Anthony's needy friend Vanessa learns the tricks of the trade from Suzanne, then goes to work reeling in Anthony. Payne Grows Up Feb 19, 1990 Julia is not pleased to learn that Payne is graduating early in order to marry his pregnant girlfriend. Upset at becoming a grandmother so soon, Julia gets tipsy at the wedding, then wakes up mortified -- and scantily clad -- the next day with Payne's frat house roommate (Young). Tornado Watch Feb 26, 1990 A bizarre collection of characters is trapped inside Sugarbakers by a tornado warning, including hillbilly Daddy Jones who takes a liking to Bernice. Tough Enough Mar 12, 1990 A redecorating job for a sports account is right down Sugarbakers' alley when it pits the women against a macho, over-confident designer from an all-male firm. They determine to steal one of his prized clients, Cherokee Lanes Bowling Alley, but discover they must pose as regular bowlers. It's A Wonderful Life Mar 19, 1990 Julia intervenes when Bill's grief over the loss of his first wife threatens his relationship with Charlene -- and she becomes convinced he is having an affair with his new cockpit partner, Gail. 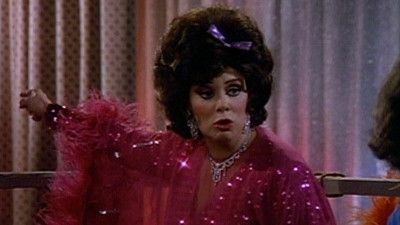 Foreign Affairs Apr 9, 1990 When her maid Consuela is threatened with deportation, Suzanne puts Anthony in a dress and pays him to impersonate the terrified woman. But he performs too well, awakening romantic interest in the Immigration and Naturalization Service examiner. Suzanne Goes Looking For a Friend Apr 30, 1990 A former beauty queen and current television weather forecaster announces her ""coming out,"" causing a confused Suzanne to think she means she's the world's oldest debutante -- and to accept Eugenia's invitation to join her at a television industry dinner. 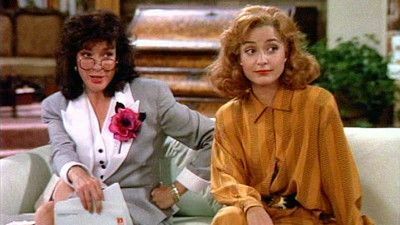 Have Faith May 7, 1990 When Mary Jo attends church with Julia and Suzanne, she ends up dating Gene Chapman, the minister, but feeling guilty about her sexual interest in him. Their Finest Hour May 9, 1990 An hour-long clip show of highlights from the previous seasons, including: razor-tongued Julia standing up for Suzanne against an insolent beauty pageant contestant, Julia defending Bernice's eccentricities, Mary Jo commenting on men and bra sizes, Charlene wondering about everything from killer bees to the personal habits of other women, Suzanne displaying a series of wacky dresses, and Anthony being plagued by a variety of indignities. Anthony's Graduation May 14, 1990 An extremely anxious Anthony makes it to his college graduation despite a series of mishaps and his nervousness about his grandmother's visit and his performance as commencement speaker. La Place sans Souci May 21, 1990 At a plush spa, the sparse diet, vigorous exercise program and thermal mud baths bring out the worst in Suzanne -- especially when Julia and Mary Jo are encouraged to gain weight.